Like so many others who have visited Tuscany, I fell in love with this region. 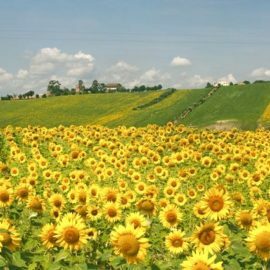 Not that I have seen it all, Tuscany covers an area of nearly 23,000 sq km, twenty-five percent of which is mountainous. But, it has much to offer and is a part of Italy that does not disappoint in any way. 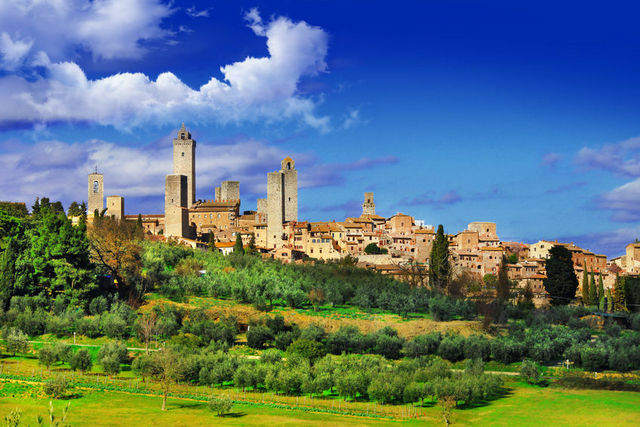 Tuscany, which is located in central Italy, is probably the most well-known and visited Italian region. It boasts so many famous historical cities, towns, villages, villas and gardens; beautiful hilly landscapes, 120 national parks and stunning coastal areas and islands. 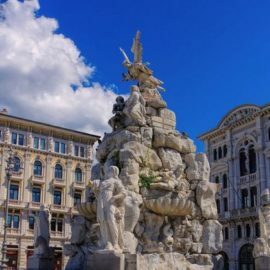 Being the birthplace of the Italian Renaissance, it also has a wealth of important art and museums. This region is home to 7 world heritage sites! In comparison to its rich art and architecture, Tuscan cuisine is very simple. Like many other Italian regions, the food in Tuscany is based on peasant traditions; what Italians call ‘la cucina povera’ (the kitchen of the poor). 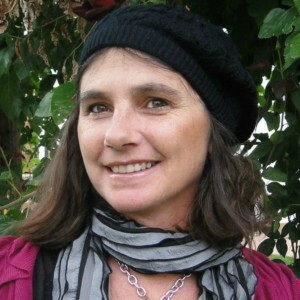 Many traditional dishes come from a time when poverty was the culinary mother of invention! The rural population learnt to make tasty, nutritious and filling meals from what was available to them without spending a lot of money. Today these dishes continue to be an important part of the region’s kitchen but by choice instead of by economy. The main staples in the Tuscan diet are meat, bread and legumes. And of course Tuscany produces wonderful olive oil and wine, both of which used as ingredients in the cooking. 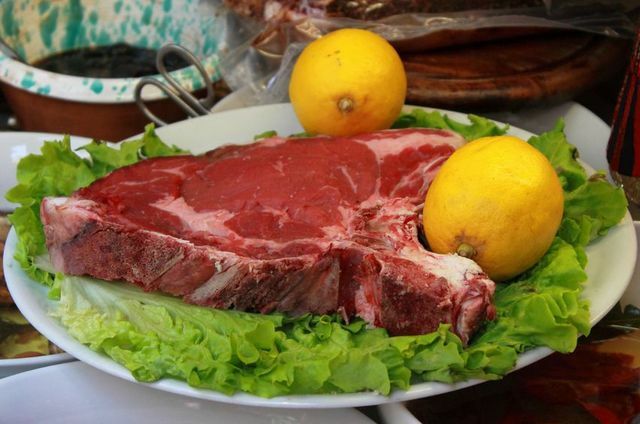 Tuscany is famous for its beef, especially those wonderful mega t-bone steaks called ‘bistecca alla Fiorentina’, the cutting of which is an ancient art said to back to the 16th century. Pork is another staple meat in the Tuscan diet. And sausages, salami, pork loin, prosciutto and lardo (particulary lardo di colonnata) are all produced in the region. In fact, Tuscany is home to its own indigenous pig breed called Cinta Sinese. Pork products made from these animals carry a DOP classification from the European Union. Game is also very popular in this region and there are many delicious regional recipes for hare, wild boar, venison and pheasant. Bread is an essential staple for the Tuscan people. However, it isn’t really eaten on its own but used to add bulk to soups like ‘ribollita’ or ‘papa al pomodoro’ or for sopping up thick rich sauces. In fact, traditional Tuscan bread is made without salt, which apparently serves to stop it competing with the flavours of the soup or sauce! One of Tuscany’s most well-known recipes with bread is panzanella, a salad made with leftover bread and Tuscan tomatoes. 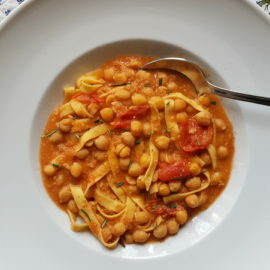 Legumes, especially beans are used in many traditional Tuscan recipes. In fact, Tuscans are often referred to as ‘mangiafagioli’, bean eaters! Favourite beans in Tuscany are definitely cannellini with borlotti coming in second! These are both used in soups, with pasta and as a side dish. The popular Tuscan recipe for ‘fagioli all’uccelletto’ (cannellini beans cooked in tomato sauce) is often paired with meat or game. It reminds me a little of Heinz baked beans, but is of course on a totally different level! The most traditional pasta in Tuscany is fresh pasta, especially types of filled egg pasta similar to ravioli called tortelli or tordelli. Tordelli are semi-circular and filled with meat, cheese and chard, whereas tortelli are square and often filled with potato and served in a meat or porcini sauce or with butter and sage. They are also made without egg and filled with spinach and ricotta. The number one pasta in Tuscany has to be pappardelle, long wide egg pasta ribbons. 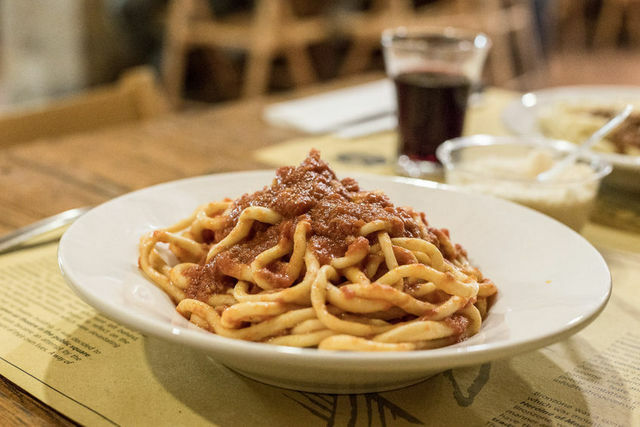 This pasta is very often homemade and is ‘the’ pasta for Tuscany’s different types of game, especially wild boar ragu, hare ragu and venison ragu. Pappardelle is also used for sauces made from porcini mushrooms. 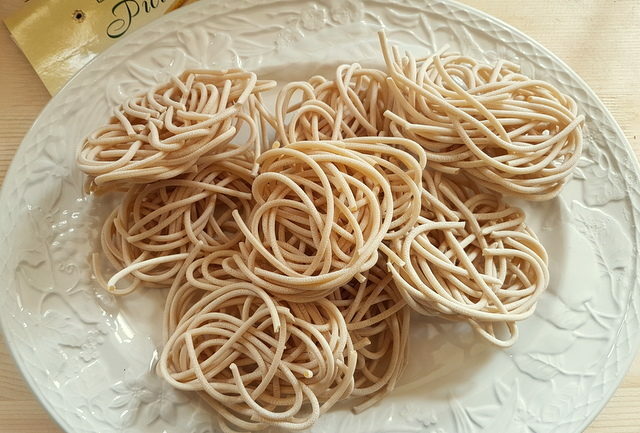 Another essentially Tuscan pasta is ‘pici’, which is similar to thick spaghetti but is traditionally stretched by hand and can be up to 3 metres in length! 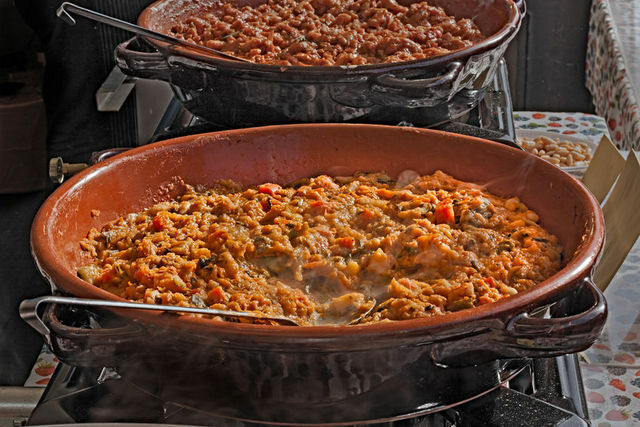 It is sometimes made with 2 kinds of flour and served with simple sauces such as ‘all’aglione’ with tomato and garlic, ‘all’etrusca’ with hard boiled eggs or ‘con le bricole’ with cheese, garlic and breadcrumbs. Because Tuscany has a coastline fish and seafood are of course also eaten, especially in the coastal areas. Among the most popular pasta with seafood recipes that can be found in Tuscany is spaghetti alla trabaccolara, made with assorted fish fillets, garlic, tomatoes and white wine. Another is spaghetti with anchovies, but in this recipe the anchovies are fresh, not salted or preserved in oil! 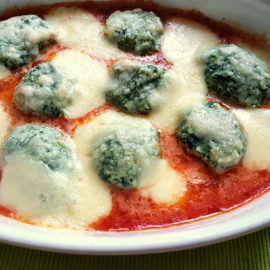 Tuscans also love to eat ‘gnudi’, a type of gnocchi made with spinach and ricotta. The word ‘gnudi’ comes from the Italian ‘nudo’ meaning naked! Basically, these are a typical ravioli filling without the pasta casing! Gnudi are served with butter and sage or a tomato sauce! Another Tuscan pasta worth mentioning is ‘lasagne matte’ or ‘armelette’, squares of flat pasta made with chestnut flour mixed with durum wheat flour and served with Tuscany’s famous olive oil and pecorino cheese. And finally a pasta I’m totally in love with the shape of is ‘gigli’ also known as ‘campanelle’ (little bells). 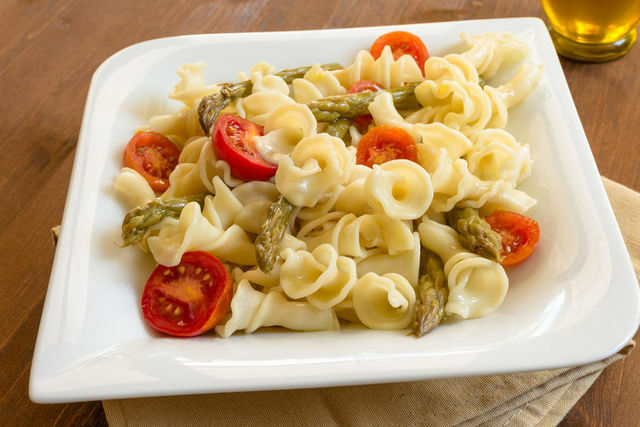 Gigli means lilies and this lily shaped pasta comes from Florence. The lily is the symbol of Florence and can be seen on the city’s coat of arms. However, this pasta isn’t so widespread here in Italy, so I’m still trying to get my hands on some! Tuscan pasta recipes on The Pasta Project. 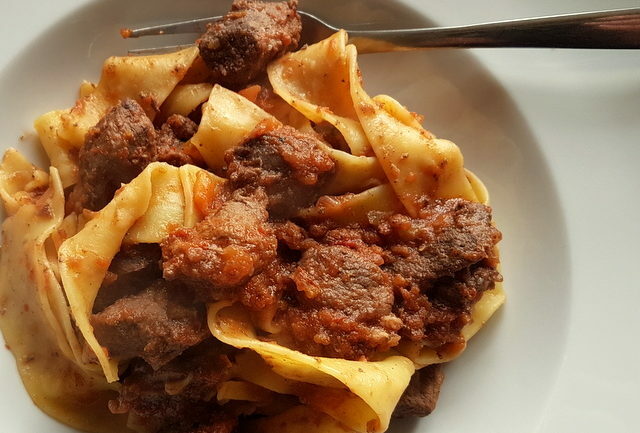 In the meantime, the first Tuscan pasta recipe I have posted is pappardelle with wild boar. This is a delicious and hearty dish which is bound to be a winner with lovers of game meat. I am dying to make some ‘gnudi’ myself soon and I’ve also just received some dried Tuscan ‘pici’ that I ordered online and can’t wait to cook a couple of those ‘pici’ recipes I mentioned. So do come back and visit soon!